GERMAN extrusion machine maker Reifenh�user says it has sold four cast film line producing three-layer unstretched cast PET, which was first presented a at the K2010. 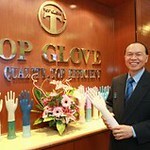 And the firm says it is working on further developments to showcase at K2013 next year. A key component of this line is the Reitruder twin-screw extruder that allows processing of PET without the need for pre-crystallisation and pre-drying, similar to the production of sheets. The winders optimised for a demanding range of products are based on a well-proven concept. Thanks to a specially designed rotary arm winder, it is possible to wind both sensitive 12 micron thin PET film, classical CPP film, and stiff PET film of 150 microns, says the firm, adding that it eliminates the need for slitting and rewinding for many applications. Blister films are one of the many possible applications. The special cast film technology enables reduction of the thickness of these films to 120 microns, which is considerably below the 150 microns common in polishing stack operations. 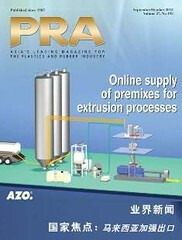 From a technical point of view there is a clear trend towards co-extrusion. While in the past BOPET films were often laminated with barrier films it is now possible to coextrude these structures in a single operation.